MasterStreamERP is a telecom-centric Enterprise Resource Planning (ERP) provider that serves businesses with intelligent software and process solutions, streamlining the business functions within the telecom sales process. Carrier Access by MasterStream simplifies and accelerates the wholesale telecom sales market. With distinct solutions for those who buy from Providers and those who sell to other Providers, Carrier Access will streamline your process and drive profitability in your business. 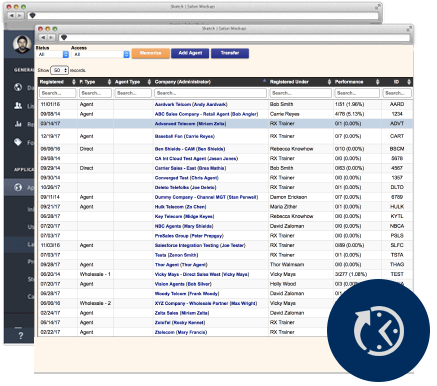 Quote Desk by MasterStream is a powerful toolkit that allows Telecom and Technology Sales companies to massively accelerate their sales cycle by performing tasks that - previously took hours, days, and even weeks - and turn them into seconds. Sales Edge follows the MasterStream StratagemTM, as sales processes flow where the individual tasks along the sales process continuum are defined by those best served through automation and those best enhanced through better selling practices. Sales Edge is the engine that delivers the automation. Designed as the productivity suite for telecom agents. Instant quoting from Multiple Master Agents and Carrier Providers. The Drive! product suite is configured from MasterStream’s time-tested MX platform, the most widely used telecom quoting software in the industry. 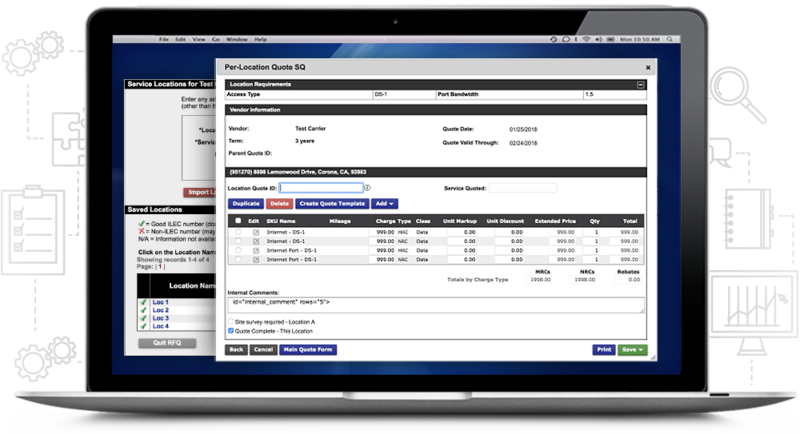 HyperDrive by MasterStream, designed specifically for micro-master agents, to help gain more control over your quote and sales process, engage multiple suppliers, generate customized and professional quotes to deliver to your customers, and provide faster response times. PowerDrive!, by MasterStream ERP is a fully customizable configuration that goes well beyond ordinary CPQ (configure/price/quote) software solutions. PoweDrive! has infinite scalability making it the preferred choice of the largest Master Agents in the industry. Our “MasterStream” automation software solution is utilized by top telecom providers, resellers, and agents. Our commitment to leadership is reflected in the pioneering features integrated into MasterStream such as Instant Quotes, Automated Documents & Order and Commissions Management that have set the standard for telecom automation. Drive! helps you manage your business from presales prospecting to every subsequent step in the sale - all the way through to revenue! You quickly get the information you need so you can reach more prospects and close more sales. These solutions not only define “total automation”, but add incredible value to all elements of the telecom supply chain. MasterStream Products follow the natural flow as Leads progress to Orders and are specialized for the distribution segment they serve. Such rhythm and perfection can only be the result of a deep operating experience in the disciplines which we perfect. "MasterStream is what powers our portal for all of our agents across the nation. It's a simple, fast and easy way to get quotes, take orders, and bring it all to fruition and track it all the way through to the commission process." Throughout 2017 we automated over 15 million telecom quotes every month and delivered information that previously took days or weeks and reduced the turnaround to mere seconds. Our custom solutions allow business to automate time consuming functions, saving time and opening the door to increasing efficiency and accelerating revenue. Steer your business to do more and earn more with complete control of your own customized MasterStream solution. Providers can quickly assess addresses to see which align to their own footprint. Those who need to quickly understand which of their Carriers and Providers are available at an address can access the information they need in a single search. MasterStream’s flagship service. Enter an address, select the service(s) you want quoted and get your pricing. It’s that simple. Adding customized rules and guidelines help manage margins on every deal. Easy to manage, simple to update and a breeze for your customers. Control your product portfolio in MasterStream and sales teams, Agents or wholesale partners can get real-time updates in availability and pricing. You update it once and it’s automatically pushed to the field. Reporting and analysis that matters. When your distribution channels use MasterStream you are armed with intelligent, actionable data on customer and sales behavior. Know what price points matter by channel, geography or any number of variables. Get inside your business. Get answers. Accelerate your business with sound information that is available nowhere else in telecom.